A simple, sweet and easy Maple Braised Butternut Squash recipe that will cozy up just about any meal. Last weekend was Heather’s birthday. When we brought her home 26 years ago we had no clue what we were doing and we were so afraid we would mess up. But here we are now, with a beautiful, confident, strong, independent, caring, talented, funny and loving young woman…..I think we did a damn good job! Like always, we celebrated by going out to dinner. We tried a restaurant that we had never been to before, and I have to say……it did not disappoint! I think it was one of the best meals I’ve had out in a long time! If you are in the St. Louis area, you must try Annie Guns in Chesterfield bottoms! Within its walls, Chef Lou Rook, III works his magic, creating irresistible dishes with a sophisticated country life accent. My filet, was exceptional, the mashed potatoes were the kind dreams are made of…….. but the butternut squash was probably the most talked about item on our plates! I have to be honest, I’ve never cooked butternut squash, and I’m not sure I’ve ever even eaten it. The warm and sweet dish was endlessly tender and had a hint of maple, I had to ask the waitress about it. She was more than eager to share how to make it with our whole table! 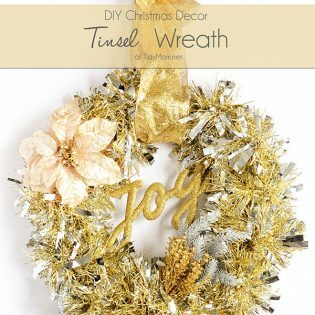 She told us she has made it herself and it was SO easy! Dice up a butternut squash, braised in broth with maple syrup poured in……cook until tender! I knew it would be a perfect new side dish for Thanksgiving dinner! But I didn’t want to wait until the big day to make a new recipe, so I gave it a trial run yesterday. I did a quick google search to see if the recipe existed online, and found Butternut Squash from Bonappetit. BINGO! That recipe sounded very much like what the waitress had shared. I made a few minor changes, and the end result turned out every bit as good as it did that night at the restaurant. 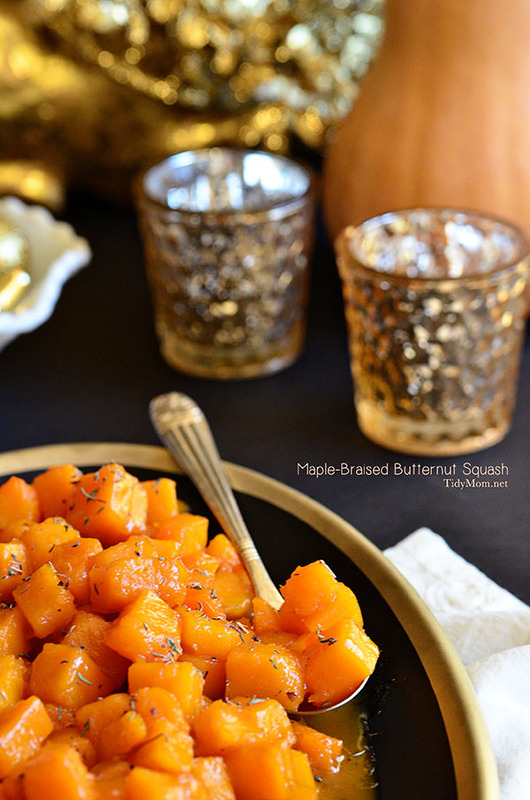 The maple syrup is a wonderful flavor complement to the butternut squash and gives each piece a beautiful glisten that makes your mouth water. With just four main ingredients, you would be hard-pressed to find a dish that is this easy to prepare. The hardest or most time-consuming part was cutting up the butternut squash. I learned how to peel and cut a butternut squash at SimpleRecipes. com – if you were making this side dish for Thanksgiving dinner, I think you could do this part a day ahead and store the squash in the refrigerator. My Le Creuset Braiser was perfect for cooking this butternut squash dish, but you could also use a large, deep skillet. A simple, sweet and easy side dish that will cozy up just about any meal. Melt butter in a heavy large deep skillet over high heat. Add squash and sauté 1-2 minutes. Add broth, syrup, salt, and pepper and bring to boil. Cover, reduce heat to medium and cook until squash is almost tender 8 to 10 minutes. Using a slotted spoon, transfer squash to a large bowl. Boil liquid in skillet until thickened, 3 to 4 minutes. Return squash to skillet. Cook until tender, turning occasionally, 3 to 4 minutes. Season with more thyme, if desired. 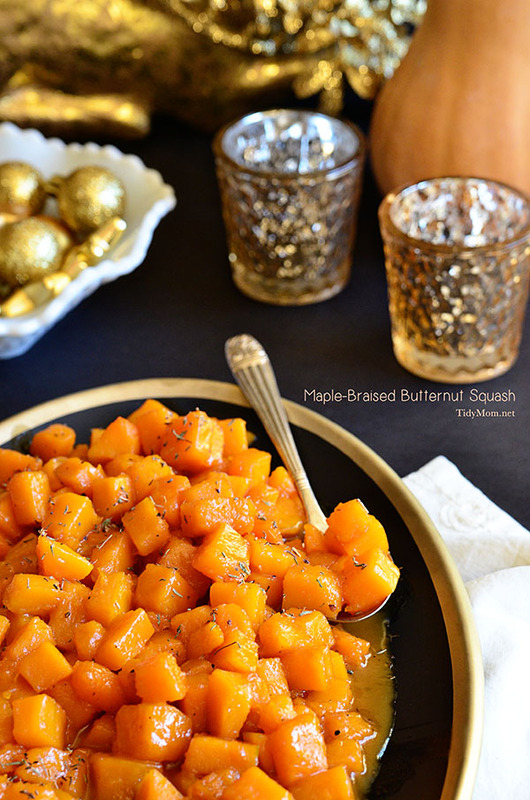 Even if you are not hosting Thanksgiving, this Maple Braised Butternut Squash dish reheated perfectly. So you should have no problem traveling with it and reheat before serving. 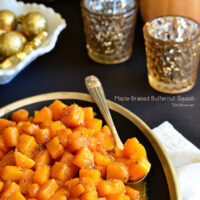 Do you have a favorite butternut squash recipe? Share it in the comments! We literally have butternut squash at least 2x a week. Typically I simply drizzle olive oil over the chucks of squash and roast in a 425F degree oven. Last night I decided to add a little maple syrup to it and my family preferred just the evoo. I guess that’s what they’ve been use to eating all these years. I too was testing it for company on Thanksgiving. Personally I thought it tasted great with just a hint of sweetness. That said, I didn’t try it with the turkey stock. I’ve never tried Annie Gunn’s but have tried Cardwell’s and begged for their recipe years ago. I have it stashed someplace – I should try to find it. Next time I’ll try your version. Thanks for sharing. This squash looks totally perfect. Awesome recipe! Thank you for this neat recipe! 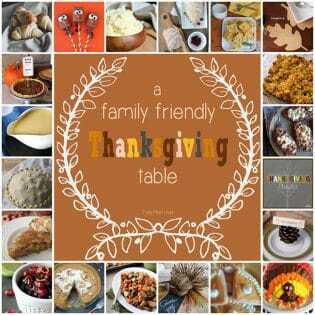 It would be a nice alternative to the traditional side dishes on Thanksgiving (and year round). This looks delicious and I love the color! Would make a perfect addition to Thanksgiving dinner. just happen to have a butternut squash needing to be used. this was really good, I added a bit of red chili pepper, nice! i love butternut squash! your recipe sounds awesome! I can’t believe you’ve never cooked butternut squash! It’s one of my favorite things to make…and to eat! And I’m loving this method of cooking it. I bet the savory-sweet combo is just amazing. I need this in my life. 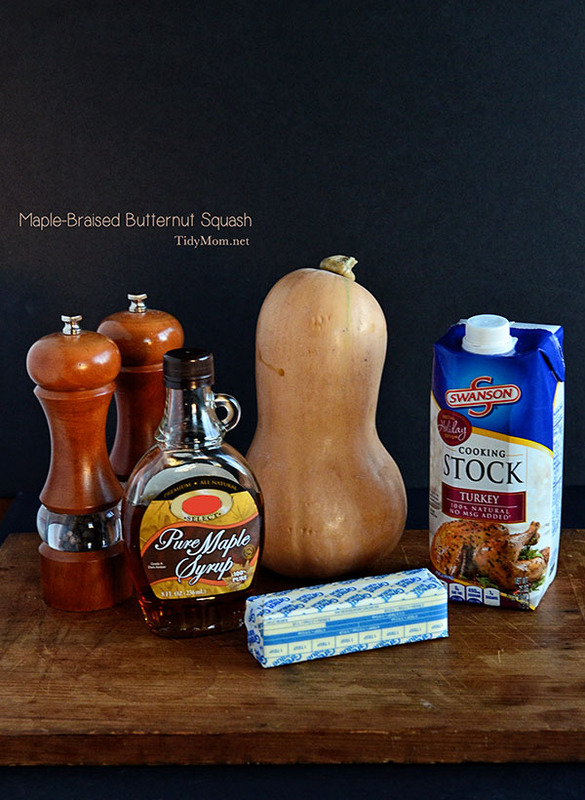 I am all about the maple squash. It looks delicious, just my kind of side dish! Yum! Isn’t butternut squash just awesome. I just used it to make a pie actually. Since I’ve got a few left, I think I’ll give this a try! Made this for Thanksgiving, but instead of putting the squash back in to the liquid, I finished it all in a crock pot to transport to my daughter’s house. I’ll do that again for Christmas, because her boyfriend, a veggie hater, just LOVED this! Thanks!